Dear New Client . . .
We are so glad you have trusted Shockoe to help accomplish your business goals. We understand that for this particular project, you need to design and build a new workplace productivity mobile app for your employees. Here are some highlights of what you can expect throughout the course of this project. Project Set up and Kickoff: The kickoff meeting will provide an opportunity for all team members to meet, review the project scope, timeline and processes, and discuss any anticipated challenges. Topics covered will include milestones and key dates, responsibilities, recurring meetings, status reporting, how we will work together, and contact information. Discovery: Once we’re out of the gate, we will interview your stakeholders and subject matter experts to deepen our understanding of your business model and goals for this project. A Shockoe user experience strategist will lead this effort and may suggest activities such as market research, competitor analysis, identification of user personas, or a heuristic evaluation of your current application. Along the way, we will document your requirements and create user flows and user stories. Typically, a user interface designer is involved in this phase as well so the transition to design is seamless. Design: Once we have outlined what your new application needs to do, our design team gets to work. These folks are the masterminds of creating a top-notch experience for your target audience. They start by creating mockups (wireframes) that show the key elements on each screen and how a user progresses from screen to screen. These mockups are easily transformable into clickable prototypes if desired for review by your team or to conduct usability testing with a sample audience. Beyond that, we bring your screens to life with a style guide and high-fidelity designs. Together these paint the picture of how the application will look and feel and will include actual colors, fonts, and images. An agile-like process: Typically, at some point between the transition from Discovery to Design, we will start to employ an agile approach to the project. The goal is to share our work early and often so that you have visibility along the way. Together we can determine the right amount of upfront user experience planning that’s needed before we move into iterative sprints. Sprints are typically two week intervals where we identify an area of the app on which to focus, we wireframe it, apply the design, and build it. The sprint culminates with a demo at the end where we share our work and gather your feedback. Everyone looks forward to demo time! Development: The scope of the project determines how many sprints are needed. No matter how many two-week intervals are involved, the process is the same and all members of the team know what to expect. Each sprint includes sprint planning, development of the relevant user stories, a day or two of testing and issue resolution, and finally, the sprint demo at the end. Testing and launch: After the last development sprint ends, we spend a couple of weeks regression testing, which is thorough testing of the entire app to ensure that all functionality is working as expected and that there are no display issues across supported devices. Any issues identified are resolved and then the app is turned over to you to perform user acceptance testing. 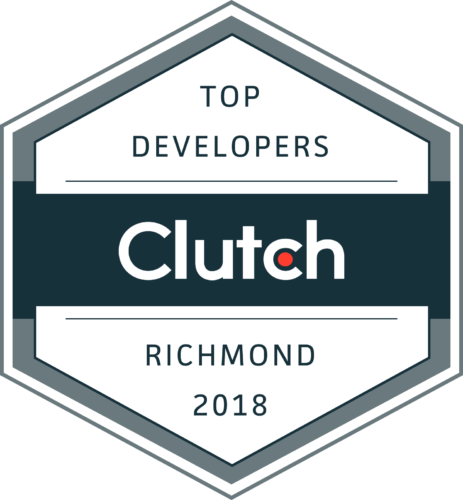 Fortunately, you will have had access to the app at each sprint demo when the QA version of the app is uploaded to Shockoe’s server for download. This testing at the end of the project is an opportunity to execute all test cases and confirm the final product is ready. Beyond that it’s just a matter of planning for submission to the app stores. Shockoe can either help you through that process or submit the app on your behalf. We are with you throughout the life of the project and let you know what to expect at each step of the way. We find that by the end of a project, our collective team has bonded in a way unlike no other. We are working together to produce something that will make people’s lives better in some way. And that’s a great feeling. Thank you for letting us be a part of it.